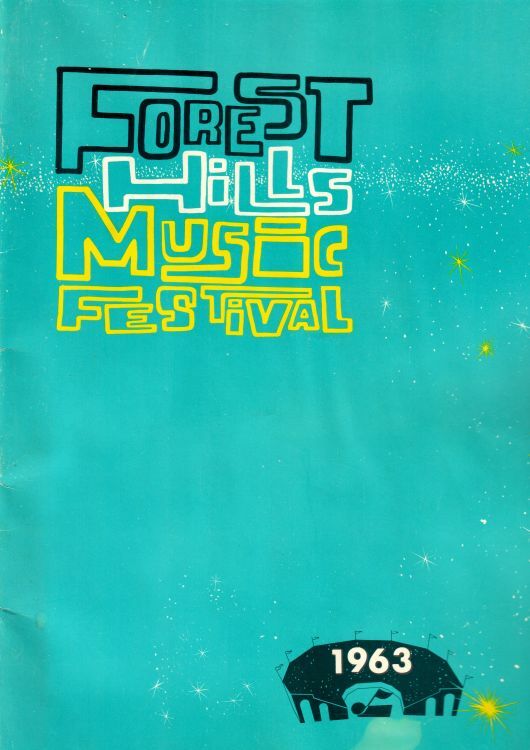 In 1923, Forest Hills Stadium was constructed on open farmland. As the city rose around it, the venue became one of the cathedrals of tennis. It is the original home of the U.S. Open and Davis Cup, and was graced by champions. 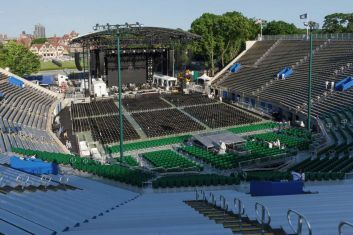 In the 1960�s, a new inspiration took center court as the Stadium hosted a series of iconic concerts. The Beatles were helicoptered onto the grass courts for two consecutive sold-out shows in 1964. Barbra Streisand took a break from her role in Broadway�s 'Funny Girl' to play a concert at the stadium that same year. Frank Sinatra, Jimi Hendrix, Diana Ross, The Rolling Stones, The Who, Talking Heads, and of course Bob Dylan (1964 as Joan Baez's guest and 1965 with his new electric band) also shook the bleachers. 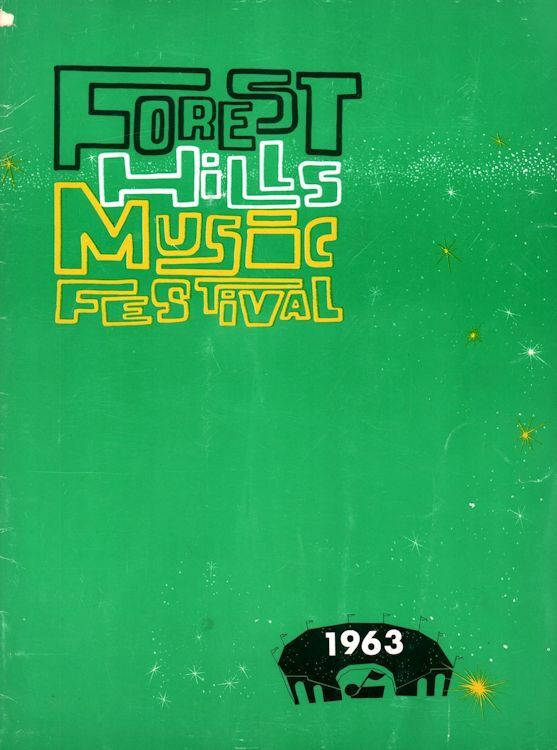 Two different colours for the programme of Joan Baez's Aug. 13, 1963 concert at the Forest Hills Music Festival. Bob Dylan appeared as guest performer and sang five songs: Only A Pawn In The Game, A Hard Rain's A-Gonna Fall, Farewell, and with Joan Baez Troubled And I Don't Know Why and Blowin' In The Wind.